The Vietnamese timber industry is growing. That is due primarily to the furniture industry, which has developed a strong focus on easy-to-produce outdoor furniture for the export market. However, the national market for high-quality indoor furniture is dominated by Chinese and Taiwanese imports, since Viet Nam itself suffers from a shortage of skilled labour capable of producing interior furniture to international quality and design standards. Local medium-sized furniture manufacturers are often not competitive in this segment. And so long as there is no improvement in the quality of Vietnamese production processes and products, it is also difficult for German companies to establish a foothold in the market. 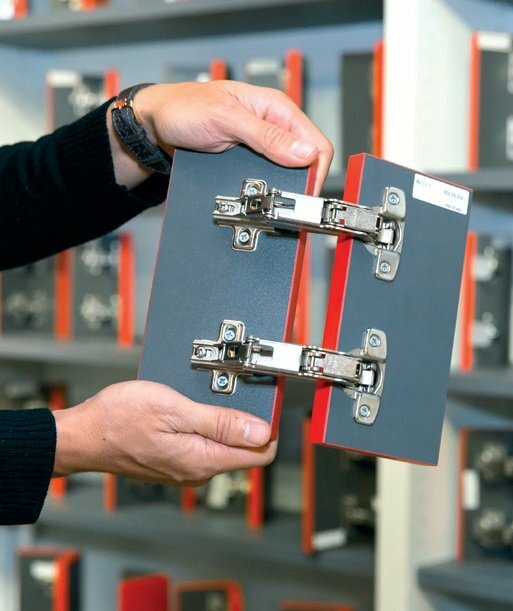 Häfele is a leading international manufacturer of high-quality furniture and construction fittings, including hinges, handles and locks. In setting up the Vietnamese subsidiary Häfele Vietnam LLC, the company discovered this untapped potential in the domestic furniture market – and decided to embark on a develoPPP.de project with the Deutsche Gesellschaft für Internationale Zusammenarbeit (GIZ) GmbH. As part of the development partnership, Häfele and GIZ jointly launched a training programme for small and medium-sized furniture companies, the aim of which was to train company staff to produce high-quality, design-oriented furniture. 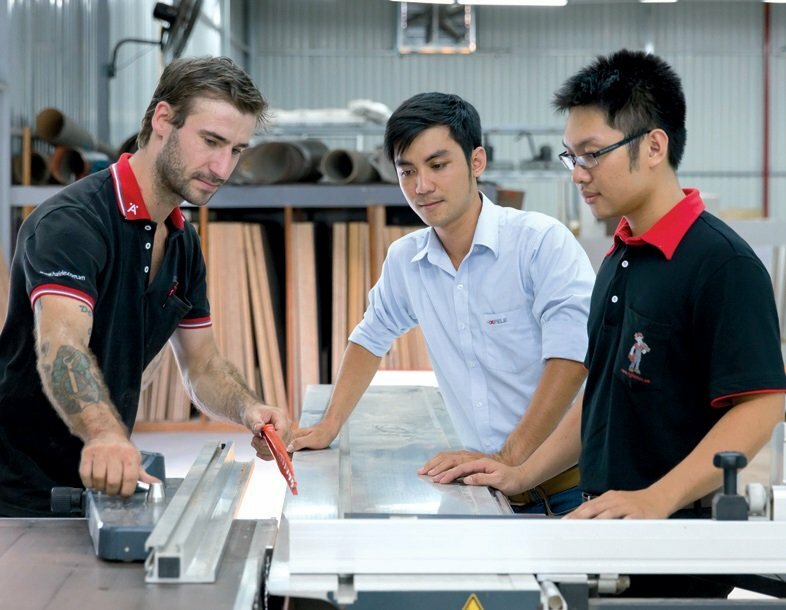 Training courses were also geared to improving occupational safety at these Vietnamese companies, providing instruction on international quality standards and raising the profile of Häfele within the Vietnamese furniture industry. A local organisation was also brought on board: the Handicraft and Wood Industry Association (HAWA), which provides support to members with developing and improving their services and quality. The partners developed a training plan and opened two training centres: one in Ho Chi Minh City and another in Hanoi. Here, participants were trained in working with various materials and modern machinery and learned to apply contemporary design criteria. A key focus of the training courses was occupational safety, one consequence of which was that companies involved subsequently marked out prescribed safety areas at production facilities and erected signs with safety warnings. One highlight of the training courses was Häfele’s mobile training unit. The company’s spacious bus, converted specially for the workshops, enabled on-the-job training sessions to be held on site at the furniture manufacturer’s premises. In this way, training opportunities could also be offered to companies based outside the two cities. Local schools of design and universities were also involved in the development partnership. Teachers and trainers from neighbouring educational institutions gained insights into new content, including for example the difference between European and Vietnamese industrial measurements. These institutions have now adopted selected training modules into their curricula. This involvement in training for the Vietnamese timber industry is paying dividends for all concerned. The German company benefits from a raised profile and professional processing of its products. And since Häfele used advanced equipment to develop five furniture prototypes and product lines for the Vietnamese furniture manufacturers, there is also a direct benefit for local companies: they now have a better understanding of technical advancements and are more competitive – and that in turn paves the way for further modernisation. Two training centres and a mobile training bus were installed and used: over 70 training units involving over 3,000 training days – half of them in the two training centres, the other half as on-site on-the-job training within companies. 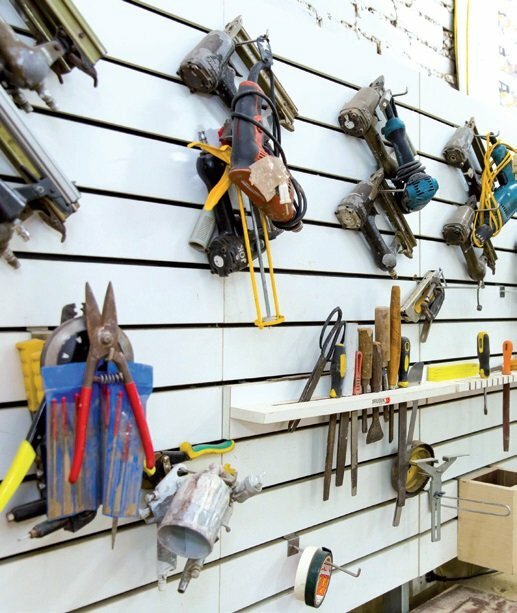 The training courses support furniture-makers with using modern methods of product development based on international standards of quality and design. The companies have put in place higher standards of occupational safety. Selected Vietnamese training centres for timber processing have adopted the new training modules into their curricula. This not only improves efficiency in the production process, quality of individual components and furniture design, it also increases competitiveness in national and international markets. More than ten teachers from local educational institutions were trained; the training courses mainstreamed in local curricula. 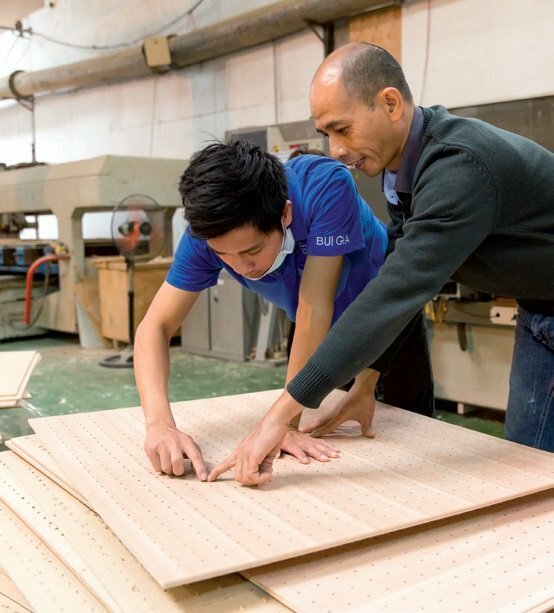 Objective Training for small and medium-sized furniture manufacturers in Viet Nam for the production of high-quality, design-oriented furniture. Higher standards of occupational safety. Development of modern methods of product development that meet international quality and design standards, resulting in higher competitiveness in the domestic timber industry and the creation of new jobs. New training modules established in selected Vietnamese training centres for timber processing. Raised profile and professional processing of products for the German company.